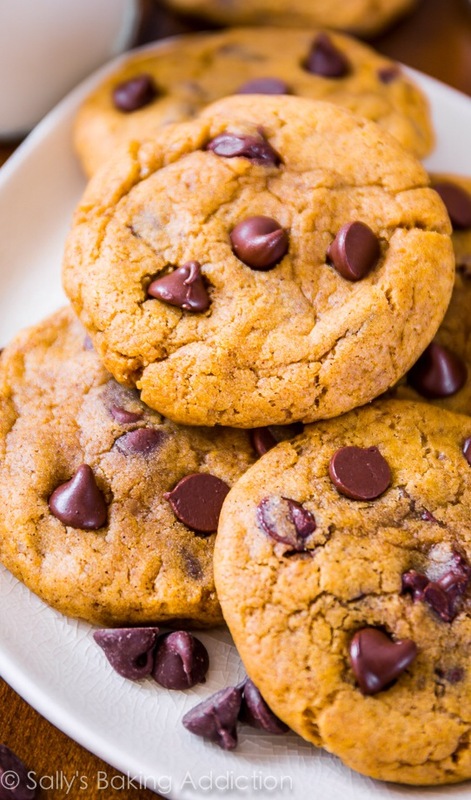 Chocolate Chip Pumpkin Cookies: Fall Goodies! We love pumpkin flavored food during the fall. We have made pumpkin bread with chocolate chips, pumpkin smoothies, pumpkin pancakes, and even pumpkin coffee and hot chocolate. So when we found this delicious looking recipe for chocolate chip pumpkin cookies I knew I had to try it. My family would just go nuts for it! Fall is the perfect time to try new recipes, especially recipes that include pumpkin, apples, caramel, or cinnamon. They really make for sweet and cozy treats that really embody the spirit of Fall. This month we found the delicious chocolate chip pumpkin cookie recipe at a fun blog full of delicious recipes, Sally’s Baking Addiction. Written and run by Sally, a bake-a-holic, with a serious baking addiction. She features incredibly decadent sweet treats and healthy recipes for balance. She sure knows the way to this bloggers heart, chocolate and pumpkin together, scrumptious! We can’t wait to try her recipe. These cookies will be the perfect after-school treat for the kiddos. Just bake a batch and be ready when school lets out with a glass of milk, some cookies, and open ears. Those kiddos will spill all of huge details of their busy day at school. It even makes the perfect treat for snacking on when planning this years incredibly cool Halloween costume! So enjoy the sweet fall treats and be sure to head over to Sally’s Baking Addiction for complete instructions, easy-to-follow photos, and other amazing recipes! Enjoy! This entry was posted in Activities and tagged Baking, chocolate chip pumpkin cookies, Cookies, recipes, sallys baking addiction, the boys store on October 7, 2014 by Lacy. Halloween is such a fun holiday and is really the beginning of the big holiday season. It is also a great time to get your bake on and bake some fabulously sweet and spooky treats for the household. 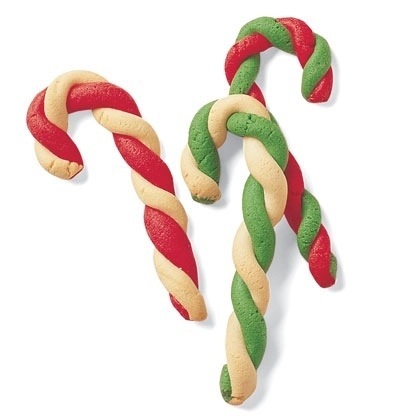 Kids love cookies, they even love helping to bake and decorate them. So why not plan a fun cookie decorating play date? We have the perfect cookie for your decorating delight, a Black Cat Cookie. While scoping out all things spooky and ooky this month we found a great blog written by a Mom of 3, Sarah. Sarah’s Sheek Shindigs blog features tons of fun blogs and tutorials relating to family life. Sarah loves to plan parties and create special events. She has incredible party planning ideas, tutorials and recipes for all the parties she plans. So check out her blog for your next get together! 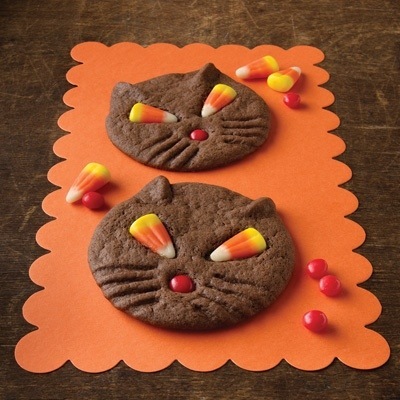 Black Cat Cookies are the perfect cookie for a little decorating play date. They have easy instructions and kids will love creating these spooky cats, and eating them! 1. Start by combining your sugar and butter in a large bowl beating at medium speed until completely combined. Then add 1 egg at a time continuing to beat the mixture until each egg is completely mixed with the butter and sugar. Finally add the vanilla and mix well. 2. Now combine all the other ingredients (except for the candies and flour) in the bowl. Reduce your mixing speed to low and add flour to mixture. Beat well until mixed. 3. Now that dough is mixed divide it in half, shape each half into a ball and then flatten them until 1/2 thick. Wrap each half in plastic wrap and refrigerate until firm, usually 2 hours. 4. Finally heat oven to 350°F. Roll out dough on lightly floured surface, one-half at a time (keeping remaining dough refrigerated.) Roll the dough to a 1/4 in thickness, then cut with 3 in round cookie cutters. Then place them on ungreased cookie sheet. 5. Using your fingers pinch up the ears at the top of each circle. Then put two pieces of candy corn onto the cookies for eyes, and 1 cinnamon candy for a nose. now use your fork to create whiskers, simply press the tines of the fork on each side below the eyes. 6. Bake for 7-9 minutes or until cookies are set. Cool on a wire rack. Now you and your kids can eat and enjoy some fancy spooky cookies perfect for Halloween! This entry was posted in Activities and tagged Baking, black cat cookies, Cookies, Halloween treats, Sheek shindigs, the boys store on October 25, 2013 by Lacy.